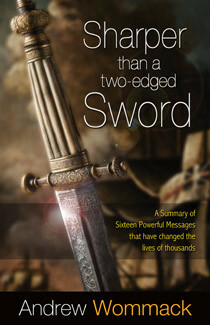 Sharper Than A Two-Edged Sword is a compilation and summary of the sixteen most requested and important revelations God has given me. Some have even called these the Cliff Notes versions of my messages. Each chapter addresses a specific topic in an abbreviated form, making it much easier to see how these truths are related and dependent upon one another. For example, if you understand the message of grace but have not balanced it with faith, neither of them will work effectively in your life. Take the time to read the book through completely to get an overview and then go back and study the suggested materials listed at the end of each chapter.